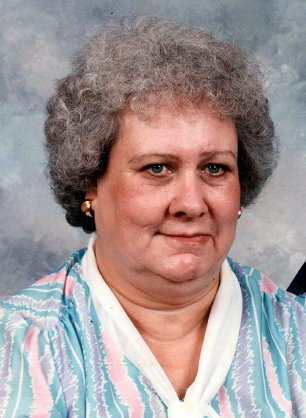 Graveside services for Bonnie Christine Adams, 83, West Plains, Missouri, will be held at 2:00 p.m., Wednesday, March 27, 2019 at Oak Lawn Cemetery, under the direction of Robertson-Drago Funeral Home. Mrs. Adams passed away at 6:45 a.m., Monday, March 25, 2019 at her home. She was born February 25, 1936, at Kelly Holler in Oregon County, Missouri, to James A. Deckard and Nettie Stevens Deckard. In May, 1958, she was married to Robert Adams. She received Christ as her savior while attending the First Freewill Baptist Church in West Plains. Bonnie never met a stranger. She was a hard worker and had a heart for helping people; she often bought clothes for children in need and helped families that were struggling. She enjoyed canning and making quilts; both of which she gave to her family and friends. Mrs. Adams enjoyed going to yard sales. She is survived by four children, Rhonda McFarland, Charlotte Taylor and husband, Roger Taylor, Allen Adams and Larry Adams; three grandchildren, Matthew McFarland, Tessa Corey and Beth Bridges; five great-grandchildren, Aadyn, Tyler, Harper, Briar and Nash; four brothers and sisters, Alfred Deckard, Jewell Dildine, Sarah Petty and Lizzie Walker; and many nieces and nephews. Her parents, husband, one granddaughter, Elisha Bridges and ten siblings, Arie, Ray, Henry, Marian, Jess, Youlla Mae, Emmie, Virgie, Tom and Marilee, preceded her in death. Mrs. Adams will lie in state from 5:00 until 9:00 p.m., Tuesday, at Robertson-Drago Funeral Home. Memorial contributions may be made to St. Jude’s Children’s Research Hospital and may be left at Robertson-Drago Funeral Home. I went to school with Bonnie at Nebo years ago. Had lost track of many of my friends from there and thought of them often. Those were happy days. The family will be in my thoughts and prayers.